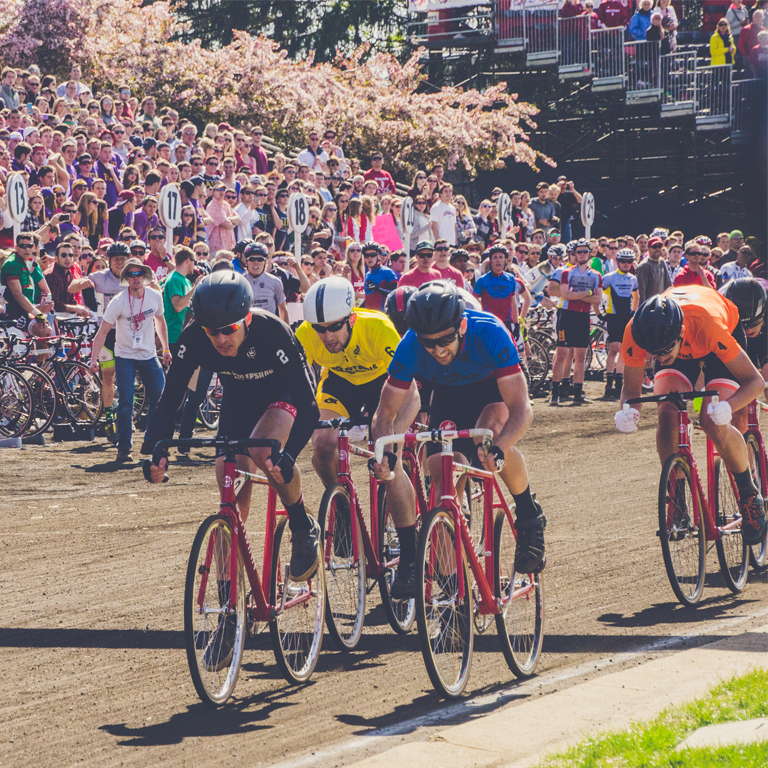 The Little 500 is the largest collegiate bike race in the United States. Modeled after the Indianapolis 500, riders compete in four-person teams around a quarter-mile cinder track at Bill Armstrong Stadium. The men’s race is 200 laps — 50 miles — and the women’s race is 100 laps — 25 miles. The race began in 1951 as a way to raise scholarship money for students working their way through college. Since that first race, IUSF has given away over $2 million to deserving undergrads. Click here to view a live stream!